Keith Dambrot, former Akron head coach who recently accepted the Duquesne job, will reportedly bring over his assistants to Pittsburgh. Per Jon Rothstein of CBS Sports, Charles Thomas, Rick McFadden, and Terry Weiland will all be joining Dambrot at Duquesne. In addition, Keith Dambrot will hire Steve McNees as director of basketball operations at Duquesne. McNeese worked with Dambrot at Akron as well. The new head coach is doing a solid job brining familiarity to the program. He got good news in the decision to stay from Mike Lewis II, and now he’s looking to bring in recruits and transfers to fill next year’s scholarship spots. 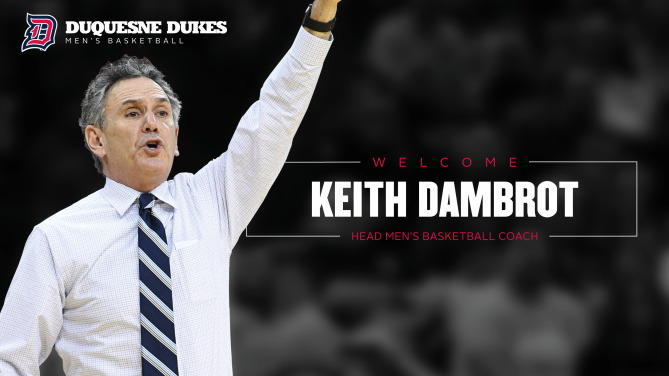 Keith Dambrot will bring all of his assistants from Akron — Charles Thomas, Rick McFadden, & Terry Weigand — to Duquesne, per sources.